From measures to clean up the environment to the strengthening of our rights as workers and consumers to over half a century of peace among member states, our membership of the European Union has contributed immeasurably to improving our quality of life. In contrast, the government’s own impact assessments suggest that any form of Brexit will leave every region of the UK worse off, and it is those regions, such as Northern Ireland and the North East of England, who can least afford it, that will be hardest hit. A ‘soft’ Brexit may mitigate much of the economic impact, but no possible scenario comes close to the benefit we get from continued membership of the EU. It is also heartbreaking to think that future generations may not be able to live, work, study, retire and fall in love across twenty-seven other countries, that young people today will not be able to enjoy that same set of rights that we had come to take for granted. The free movement of people and the ease of sharing information and ideas across Europe has helped the UK cement a world-leading position in academia and medical research, and of course has been fundamental to supporting our NHS. As a party, we must not fall into the trap of seeing Brexit as simply one of many issues we would need to address in government – Brexit is all-consuming, a ‘hard’ Brexit will remove any hope of implementing the ambitious policy platform set out in the 2017 manifesto. The ‘Lexit’ arguments simply do not stand up to scrutiny. For example, EU and single market rules do not prohibit state-owned industries – indeed we can look to our European neighbours to find multiple examples of government holding stakes in the transport, water and energy sectors. Similarly, on state aid, whatever the Tories might have argued during the steel crisis, what the EU rules do, is govern how support can be given, not if it can be. It is important to remember too that the UK leaving is a significant loss to the EU. On issues such as environmental standards and safeguards, from being regarded as the ‘dirty man of Europe’ fifty years ago, the UK has gone on to be a leading progressive voice in support of measures to improve environmental security. The current government’s appalling failure to keep within EU air pollution limits should not be allowed to obscure the achievements of progressive UK voices in Europe. Brexit also raises a real question for the wider European Left. Our UK Labour MEPs have been a huge force for good over many years – on human rights issues, climate change, sustainability and protections for workers and consumers – and have been a powerful voice for the UK and all EU citizens, willing to challenge the EU institutions when they get something wrong or when they don’t go far enough. The total loss of one of its largest groups is a huge blow to the Socialist and Democrats in the European Parliament, with a very challenging set of European elections ahead next year for our sister parties in, amongst others, France, Germany and Italy. The mainstream left in the Parliament, and indeed the composition of the Parliament as a whole, is likely to look very different by this time next year, and that should be very troubling to us all. The events of this weekend have, once again, thrown into sharp relief the clear, binary choice the country faces with Brexit. The Chequers statement, even if it does hold, is essentially pointless- the EU will simply not accept splitting the single market, and the Government’s proposal will be rejected. The Government will then have to decide whether to accept Customs Union and Single Market membership. The choice is boiled down to what it has always really been: save the economy and protect our rights but have no say, or diverge from EU standards and trash the economy. There are no other options, and that is why the case for a people’s vote on the final deal grows stronger by the day. 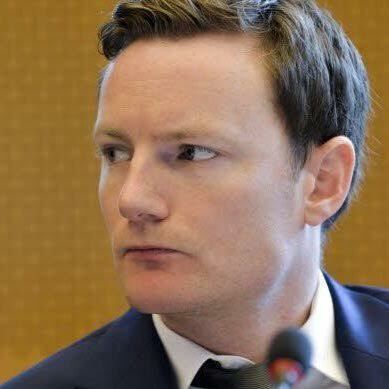 Seb Dance is MEP for London and deputy leader of the Labour group in the European parliament. Seb was a Special Adviser to the Secretary of State for Northern Ireland and has been a member of the Labour Party for over 12 years. He currently lives in Southwark, where a strong Labour values-based campaign recently threw out the previous Tory/ Lib Dem coalition.